Nothing marks the season quite like brand new shades on your nails. 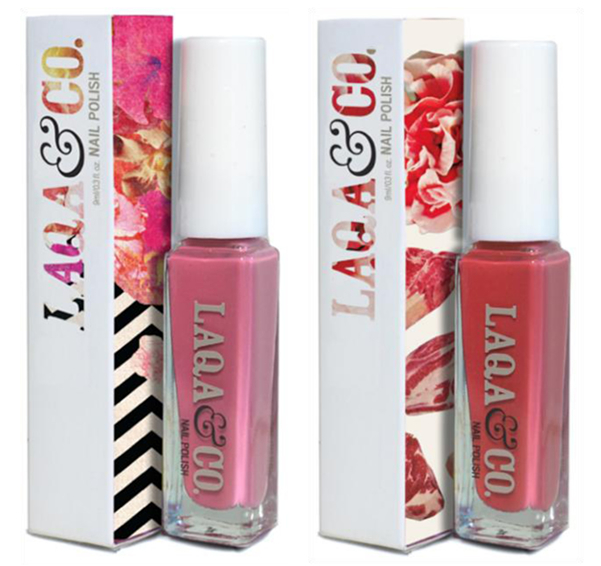 Just in time for the cooler weather, LAQA & Co. introduces their fresh Fall colors, Legit, a cool pink tone and Nemesis, a spicy warm red. With their unique packaging designed by and benefiting artists Bianca Green and Beth Hoeckel, LAQA & Co.'s formidable new polishes give back in more ways than one. Available at www.laqaandco.com for $11.